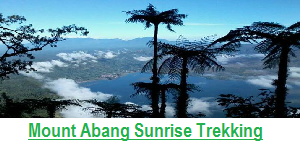 Let experience Bali Volcano Trekking Tour – Bali Volcano Trekking tour is one of the Hiking program in Bali, in this trekking tour we will climb the sacred Mt Batur Volcano, Thi Volcano located in Kintamani Village and nearby the Mountain you can see the amazing Lake Batur ” the largest lake in Bali ” . 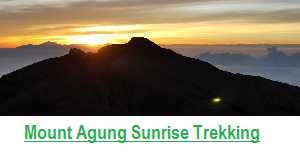 The best time to climb is at 04.00 am, it’s mean at 04.00 am we have to be ready at Trekking Point, so if you are from Kuta, Legian, Seminyak, Canggu, Ubud should be leave at 01.30 to 02.00 am from the hotel. 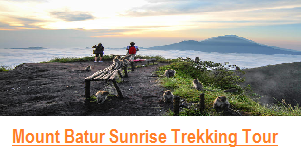 here you will climb for 2 hours to reach the top of Mount Batur, from the top of the Mountain you will see the Amazing Sunrise , beside that you also can steam some egg and banana by your self for your breakfast at the top, because we are sure that you will need more power when start to go down from the top to the finishing point. 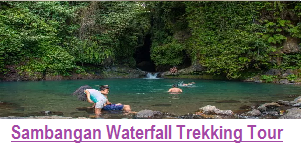 Since all of our Service for Hiking Package to Climbing Volcano in Bali, so after the trek if you would like to visit more place is very Possible, for example you would like to soaking your body at the Natural Hot Spring near Mount Batur, it’s just 5 minutes from Trekking Finishing Point, and then after than we also happy to take you to local resturant for lunch, visiting coffee plantation and Tegalalang Rice field if you interested. If not we can Drive you directly to your Hotel. 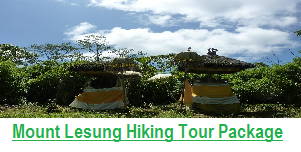 And during climbing the Volcano you also will be accompanied by Private Local Guide who will help you done the trek. we not like other company who arrange sharing Guide for their Guest, if you are 1 to 4 persons we will arrange 1 private guide, and if you are 5 persons ? we will arrange 2 Private Guide for you. 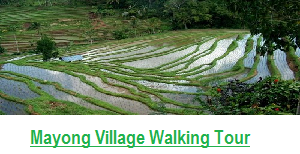 UBUD USD$49/person ( Minimum 2 Persons ) Private air conditioner car, Private Guide, Trekking Breakfast Arrangement, All trek equipment, Mineral Water, Coffee or Tea at top of the Mountain and Donation to the Village of Kintamani. SEMINYAK, KUTA, CANGGU, KROBOKAN, LEGIAN, SANUR USD$53/Person ( Minimum 2 persons ) Private air conditioner car, Private Guide, Trekking Breakfast Arrangement, All trek equipment, Mineral Water, Coffee or Tea at top of the Mountain and Donation to the Village of Kintamani. NUSA DUA, JIMBARAN, ULUWATU USD$55/person ( Minimum 2 persons ) Private air conditioner car, Private Guide, Trekking Breakfast Arrangement, All trek equipment, Mineral Water, Coffee or Tea at top of the Mountain and Donation to the Village of Kintamani. LOVINA , PEMUTERAN USD$55/person ( Minimum 2 persons ) Private air conditioner car, Private Guide, Trekking Breakfast Arrangement, All trek equipment, Mineral Water, Coffee or Tea at top of the Mountain and Donation to the Village of Kintamani. AMED, SIDEMEN, USD$55/person ( Minimum 2 persons Private air conditioner car, Private Guide, Trekking Breakfast Arrangement, All trek equipment, Mineral Water, Coffee or Tea at top of the Mountain and Donation to the Village of Kintamani. 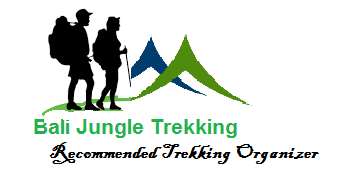 We are a Professional Bali Trekking Company will prepare all above arrangement for you, therefore you just bring camera and make sure you have enough power after wake up in the early morning, we will deliver private service for you to make sure you get the best trekking experience.